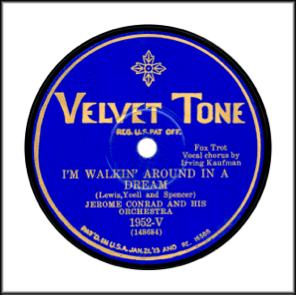 Velvet Tone was introduced in 1925 by Columbia as a budget label. It was discontinued in 1932. The label recorded 1,500 records and focused mainly on pseudonymous performances by Columbia stars and miscellaneous free-lance musicians. The exception was that in 1930 a 7000 series was introduced devoted to blues and race items. The label relied on acoustic recordings rather than the newer technology of electrical recordings. 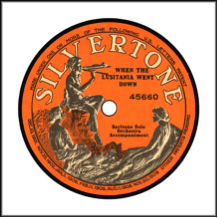 Record Label: 1925-1932 Velvet Tone with a four-point star and in bright blue and gold coloring.